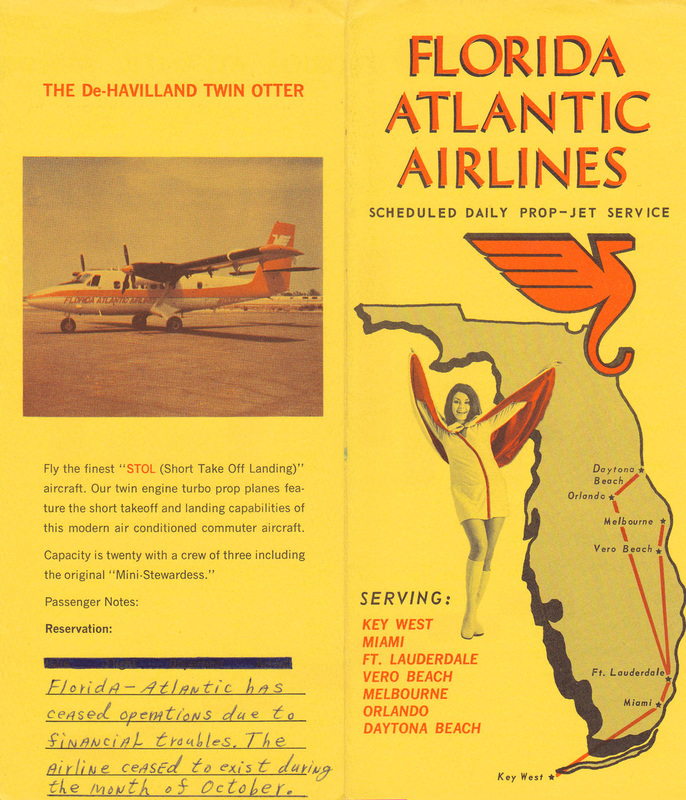 Florida Atlantic was certificated on January 10, 1968 and offered service from Ft. Lauderdale to the Keys and east coast of Florida using a fleet of deHavilland DHC-6 Twin Otters. The airline also owned several Beech 18s. By late 1970, Florida Atlantic was bankrupt and shut down in October. Airline executives were later indicted on bribery charges for paying a congressman to persuade the CAB to grant the airline authority to operate flights to the Bahamas. Florida Atlantic timetable effective April 26, 1970. I particularly like the handwritten note. 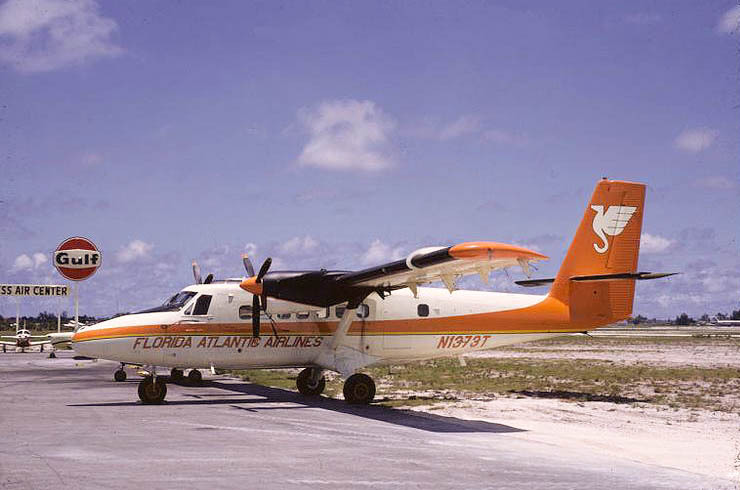 Florida Atlantic Airlines Twin Otter N1373T at Ft. Lauderdale, June 1969.